I was recently invited to meet Chef Claude Godard in the garden of Jeanne & Gaston. Some of you may have read my blog post on the Press Dinner that I attended a few weeks ago at Jeanne & Gaston. The restaurant serves both classic Bourgogne dishes and contemporary French dishes. I love the food at Jeanne & Gaston and have been there with friends after the Press Dinner. 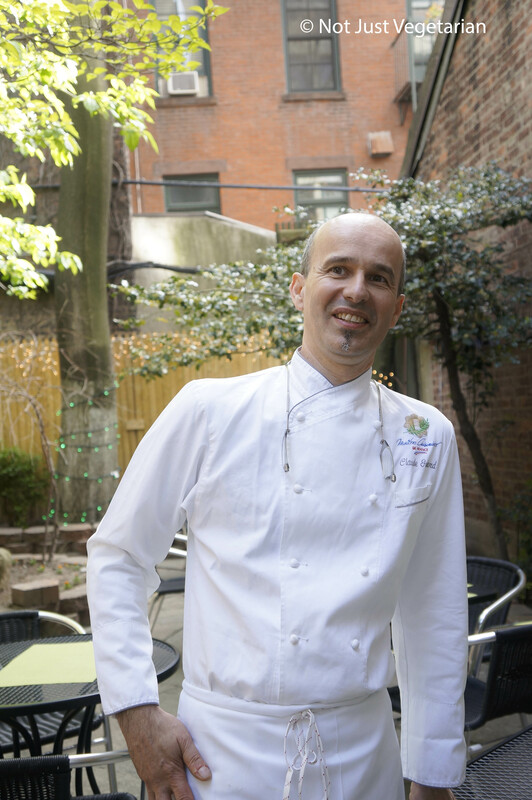 I was thrilled to have been invited to the opening of the landscaped garden at Jeanne & Gaston and to meet Chef Claude Godard (one of the 18 Maitres Cuisiniers de France in NYC). Chef Claude Godard was as cheerful, charming, and unassuming as ever. The garden at Jeanne & Gaston is now open for guests for dining and for private parties. 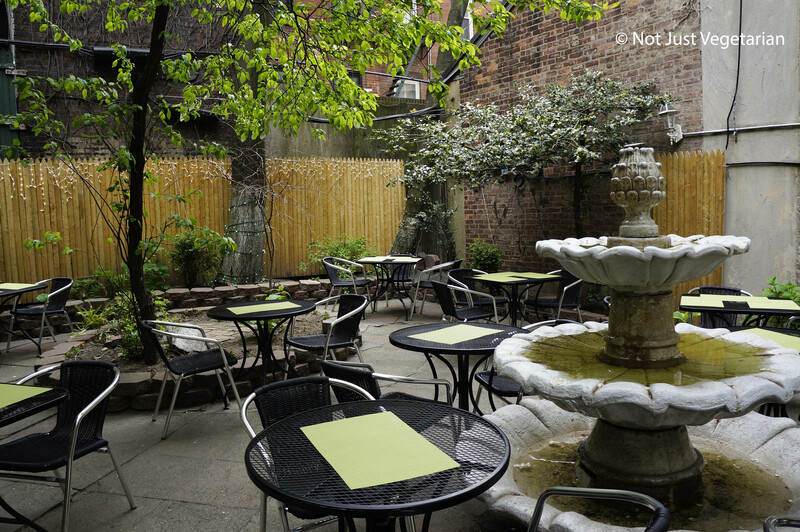 When you are in the garden at Jeanne & Gaston, you will forget that you are in bustling Manhattan. The garden has a custom made limestone fountain in its center and is flanked by brick walls on either side. 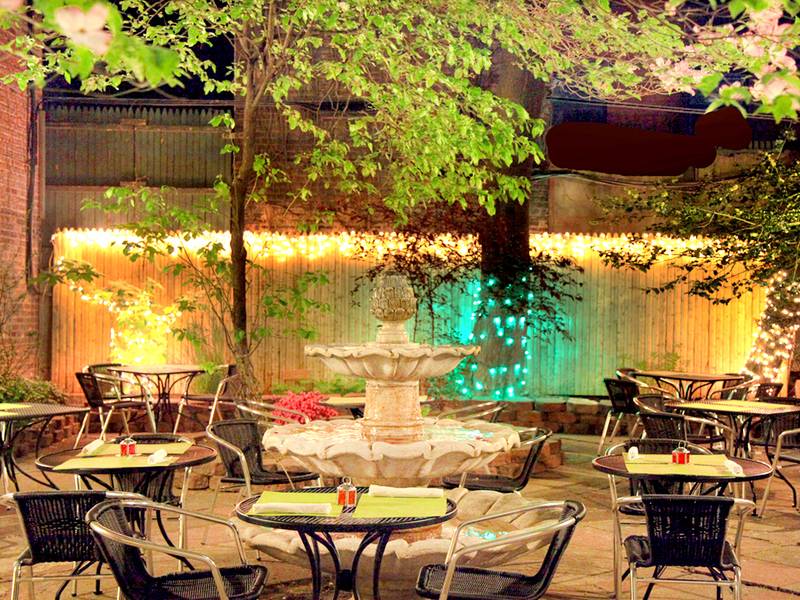 This garden was featured in FriendsEAT Outdoor dining NYC 2013. 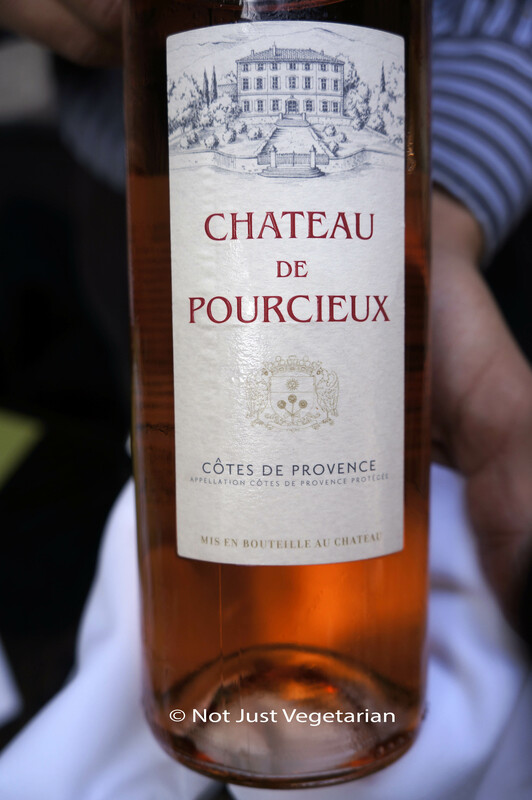 We were served a rose from Chateau de Pourcieux from Provence. It was a medium bodied wine with a good balance of acidity and sweetness – perfect for a warm spring evening. 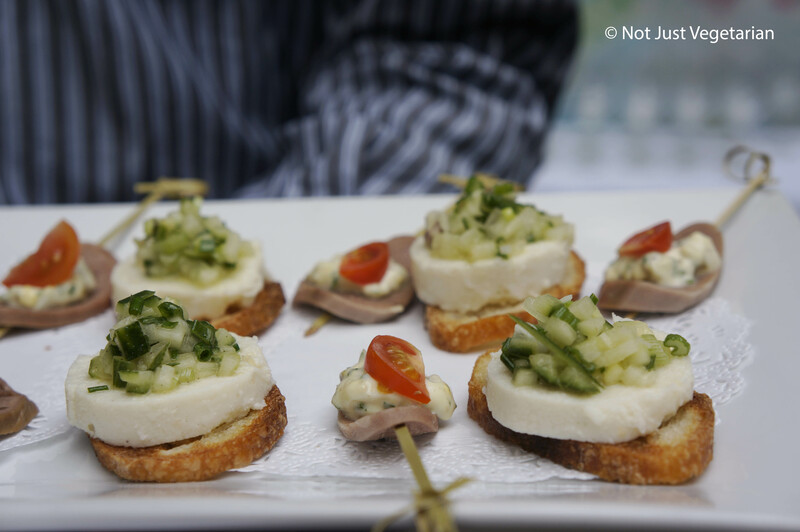 Many of the hors d’oeuvres that we were served were prepared specifically for this Press event. 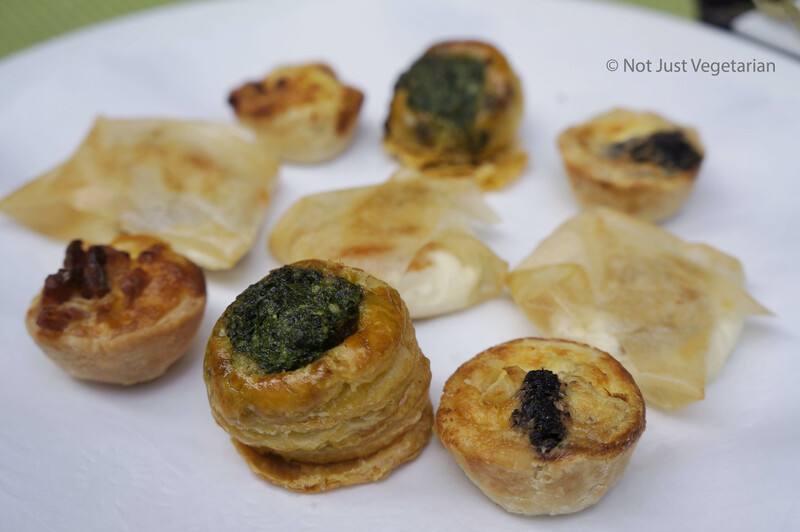 Am sure you can request the same items if you are keen to host a private party at Jeanne & Gaston. 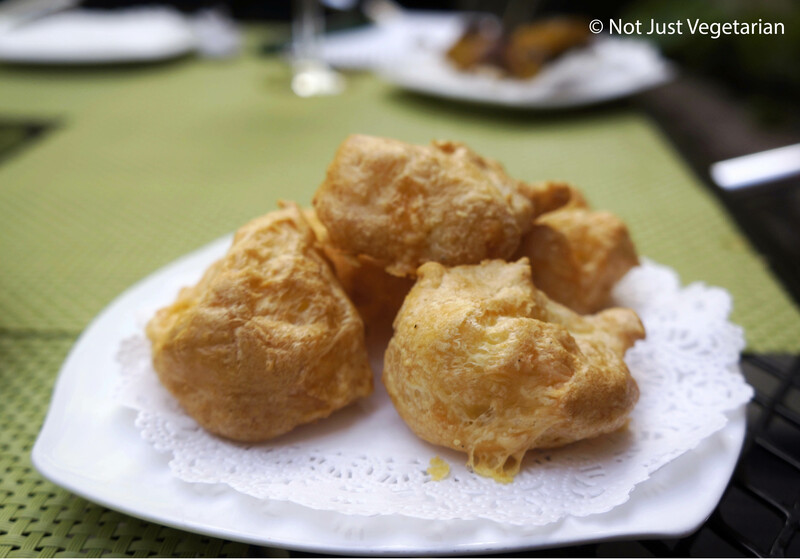 My favorites that evening were the tilapia mousse with the cucumber salad and the gougere (Cheese puff) from Bourgogne. Now you know where to go if you want to have brunch, lunch or dinner in a garden in Manhatttan and where to host your own private party this summer. Note: Hors d’oeuvres and wine were provided complimentary by Jeanne & Gaston, but all opinions are mine. 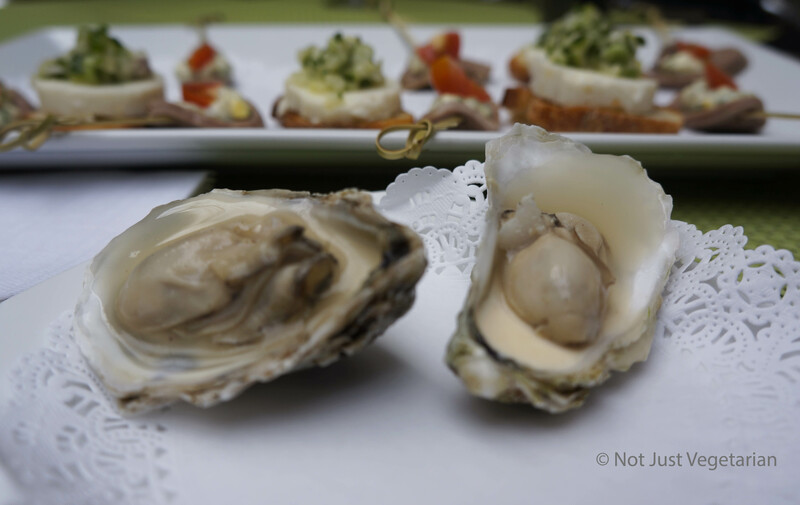 For more details on the delicious contemporary French dishes served at Jeanne & Gaston, read this post on Not Just Vegetarian. Looks delightful. Anything for vegetarians here? 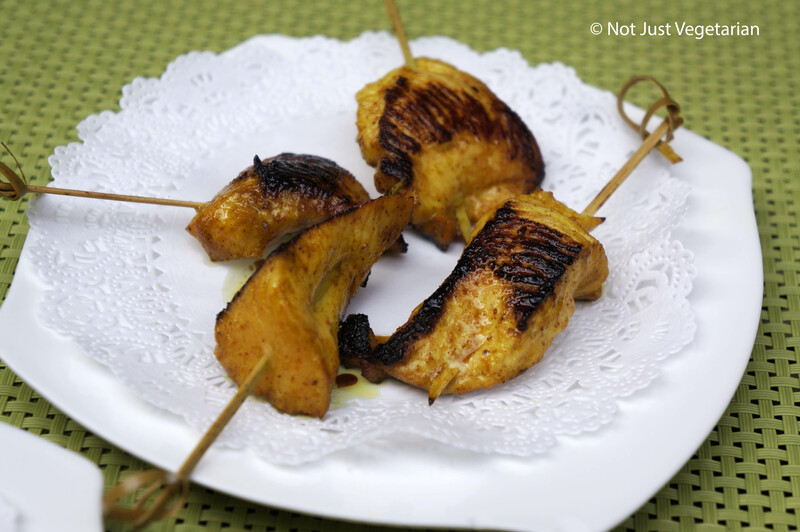 Suchi – they do have a few vegetarian items – salads and desserts (don’t miss these). I do think that the Chef can make a special entree for vegetarians, may have to request it. Enjoy! Yes, you must go there!